Home Android Best Google play store alternatives to install android apps in smartphones. Sometimes play store apps are country restricted. So if you want to remove this barrier you can try some other app stores also. There are some apps which are paid in play store but one can get those apps free in other app stores. Google play store won’t let you download app if its incompatible. But if you feels your smartphone can run the app perfectly then you must look for play store alternatives. Biggest advantage of using android smartphone is its open customization. By rooting your android device one can flash their ROM or upgrade your smartphone before official release. So I am telling you some app stores apart from Google play store to install number of apps. Just take a look. GetJar: this app store deserves to be number 1 in our list of top 5 play store alternatives. You will get many amazing apps like play store. GetJar interface is almost similar to play store. One can browse as per various categories like games, music, health, movies etc. Best thing about GetJar is one can use this app store in other operating systems also. Like ios, windows etc. Users can get tons of free apps and exciting offers to buy paid apps at minimal prices. Visit GetJar app store in your mobile browser and install it in your smart phone. Amazon app store: I hope most of you have heard about this app store. 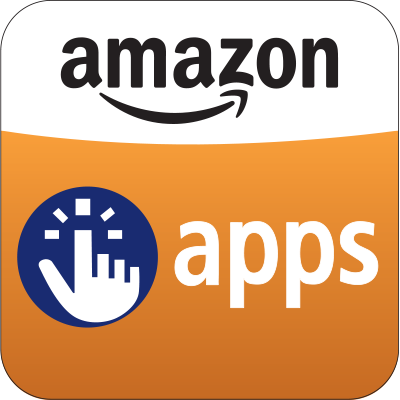 Amazon app store is one of the play store alternative to download android apps in your smartphone. All Amazon devices get this app store pre installed. For android users one has to create account by signing up only then you can access apps from store. This app provides you number of android apps. You can even get some paid android apps for free. This app store is in top 5 best play store alternatives because one can also access kindle exclusive apps in their android smartphones. So just go ahead and check out Amazon app store. App brain app: Recently I used this app and must say this is best apps store to download android apps. You can search apps according to your Geo location, mood, interest etc.One can install apps from pc to smartphone. So if you are short of mobile data or Wi-Fi connections app brain is good option for you. This Google play store alternative is used by many and one can read app reviews before downloading it. 1 mobile app store: this app store to download android apps is used by many. Just need to install the app store in their android smart phones and tablets to access number of apps from this app store. This app store is not only used for Android but in other platforms also.Just visit 1 mobile app store from here. Slide me: slide me is also one of the top 5 play store alternative. One can find number of Android apps in slide me. You can access apps as per verious categories provided by the app store. Slide me app managers reviews each app personally. This ensures best compatibilty and app qulaity for users. So just install slide me and enjoy number of apps. Hope you all will love these play store alternatives. Guys these app markets are also app rich and some of them provides you free apps or much better app quality. So you can try them. Do tell your experiences in the comment box below. Next articleHow to fix not registered on network error in android phones | Samsung devices.